So many come to a conference to learn and to network, but more than anything, they come to be inspired. That is my goal – to leave an indelible impression upon the heart as well as helpful information in the mind. Participants will leave deeply motivated and engaged to face the challenges and opportunities ahead. Thank you for considering me to speak at your event. I am honored. As a spiritual counsellor, I support hundreds of patients and families at a major cancer center. I’ve also survived cancer four times, and had a near-death experience. This has left me profoundly grateful for my life, with a deep sense of purpose in supporting others in their spiritual journey. I know what it’s like to have cancer from both sides of the hospital bed, and have a sense of this life from both sides of the veil. Over the past 25 years I have presented at more than 500 events. I speak and write on the most challenging topics: suffering and meaning, grief and hope, death and dying, the nature of consciousness and our connection to God through love. These are powerful explorations for everyone – and for health care professionals, patients and families in particular. I know what it’s like to have cancer from both sides of the hospital bed, and have a sense of this life from both sides of the veil. Prompt, professional replies to your inquiries. A personal consultation (phone or video conference) to help me better understand and meet your audience’s needs. Promotion of your event on my blog and social media channels if you desire it to have additional visibility. A professionally prepared, engaging presentation focused on achieving the outcomes you desire for your audience. A custom resource page, exclusively created for your attendees with the slides from my talk, links to books, articles and helpful videos. A follow-up communication to ensure the presentation met your expectations. I also appreciate your feedback as well. David’s presentation is the hi-light of the day and can often brings them to tears. Full-day, weekend and week-long workshops enable deep explorations in conscious development of your spirit. Intensive experiences such as these are life-changing, awakening wisdom, gifts and strength long buried within. The power of group participation further amplifies the process of integration and conscious evolution. With Freeman Patterson, C.M., O.N.B., M.Div and special guests. Creativity is, fundamentally, a spiritual process – that awkward and incomplete practice of our connection to each other, to life, to the great mystery of the divine. Through our creations, we explore who we are, expand our consciousness, and discover the inner landscape of our being. 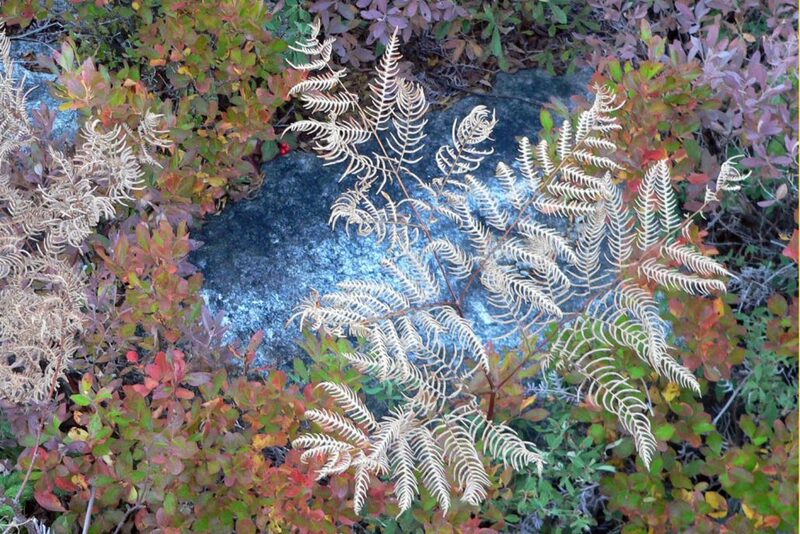 Every photograph, painting, poem, song, or garden tells this story. Our creations also exist in their own right and examining them helps us to understand why we choose particular subject matter and decide how to approach it. Like our dreams, they are symbols of our personal journey. In this workshop explore fundamental aspects of your consciousness through creating art, working with dreams, participating in group and private discussions, and meditating. Explore what it is to be a spiritual, creative being having a physical experience. This is not an instructional workshop in visual design or any specific artistic medium, although your presenters may use particular artistic media for illustration. Nor is it a formal therapy workshop, though the experience is often therapeutic. There will be daily presentations by David, Freeman, or special guests, both group and one-on-one conversations, films, meditation, and free time. Although most daily schedules are very full, you will follow your own program. Everything is optional. We encourage, but do not expect, each participant to create an artwork – a poem, a story or essay, a song, a dance, a painting, a series of photographs, etc. – for presentation to the group on the last day of the workshop. We will be providing each person who registers with a short list of books you may want to read in advance. I tailor my presentations to the format of your event and the needs of your audience. Whether you are looking for a keynote speaker or a facilitated workshop, a half or full-day seminar, or a facilitated webinar, I would be happy to work with you to meet your needs. The Spiritual Journey Spirituality is distinct from religion. It is reflected not so much in what one believes as it is in the quality of one’s love. 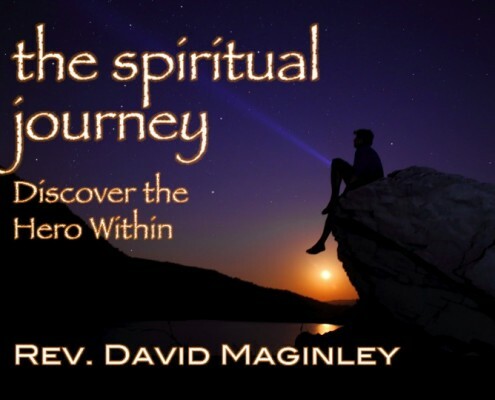 Explore how the universal journey is uniquely expressed through each of us, how we are spiritual beings having a physical experience, and the role suffering and compassion play in evolving us towards our best selves. 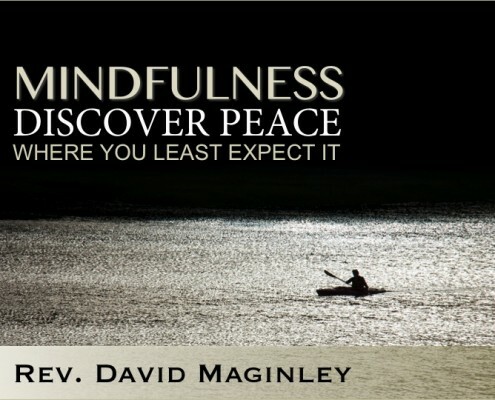 Mindfulness The quality of your presence with yourself determines the quality of your encounter with another. This presentation explores the challenge of deep presence and the gift of becoming the love we’re looking for. Nuances in mindfulness, meditation and prayer are explored. 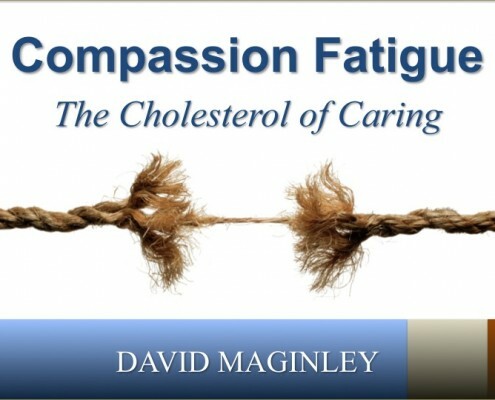 Compassion Fatigue Self-care is critical in maintaining vitality and depth in our practice of care of others. Learn in this presentation to recognize supportive and maladaptive coping strategies in the face of suffering, how to bring closure and honour those we care for through rituals, and deepen our own humanity as we witness those who help us prepare for our own eventual death and transformation. 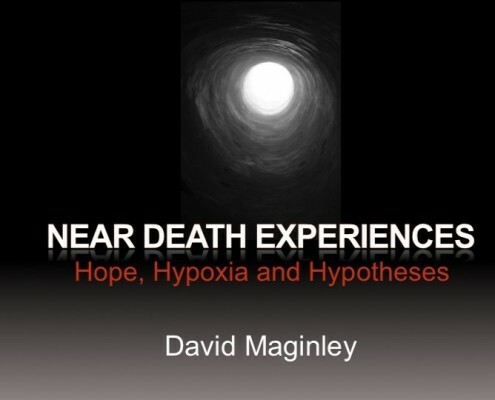 Near Death Experiences – Hope, Hypoxia and Hypotheses Many patients report mystical experiences near end-of-life, which they hesitate to share for fear of judgment, dismiss as hallucination, or side effects of narcotics. The nature and frequency of these experiences are explored against medical and non-medical explanations. A supportive response from caregivers is reviewed that will help integrate these life-changing events. 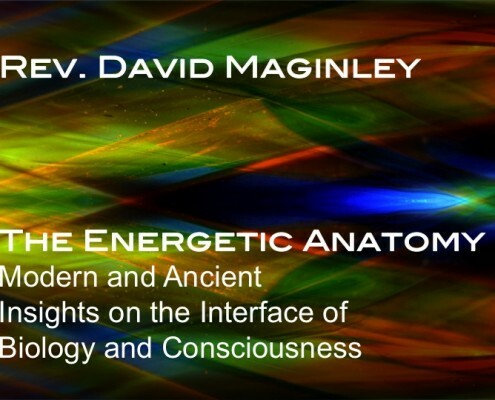 The Energetic Anatomy While we have a physical anatomy, we also have an energetic anatomy. Recent developments in technology now allow us to analyze its interface with the body and how it is modulated through consciousness. The history, theory, research and effects of energy healing are explored with clinical examples from cancer care. The Wisdom of Grief Grief is the price we pay for love, a necessary wilderness of the soul. Handled well, we emerge both vulnerable and strong. Unresolved, it cripples the heart and soul. 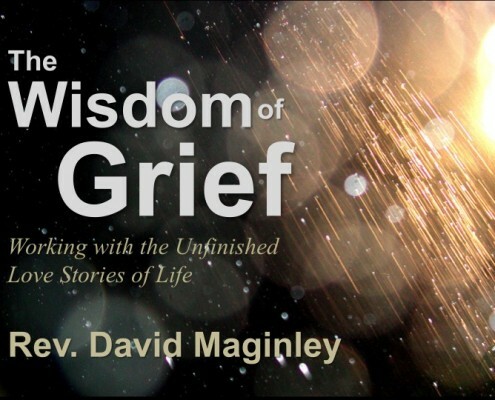 Experience in this presentation the gateway of grief to a larger life, a deeper humanity, through integrating the unfinished love stories of our lives. 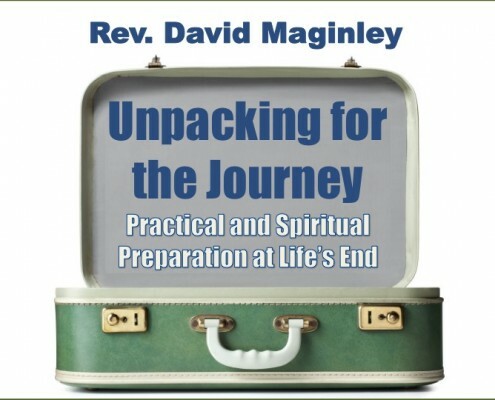 Unpacking for the Journey Death is the most undesired event in life, yet one required for our transformation. This presentation explores how practical and spiritual preparation helps one face mortality. End-of-life planning is explored along with steps that heal the heart and connect with hope. It is a privilege to inspire others in using the greatest crises of their lives to discover their deepest strengths. Thank you for considering me for your event.